(Photo credit: World Boxing Council) By Dan Ambrose: Golden Boy Promotions CEO Oscar De La Hoya says that his fighter Saul “Canelo” Alvarez’s fight against WBC middleweight champion Miguel Cotto (40-4, 33 KOs) is more important for Canelo than his bout against Floyd Mayweather Jr. in 2013, because if Canelo beats Cotto, it will take Canelo to the No.1 position in all of boxing and keep him there for the next 10 years, says De La Hoya. Just how Canelo will be able to take the No.1 spot and keep himself there for a decade is unclear. Beating Cotto is one thing, but trying to stay on top of the sport for 10 full years is quite another thing completely. De La Hoya appears so desperate to have a fighter as popular as Mayweather in his Golden Boy stable that he’s making bold pronouncements about it ahead of time, as if that will do the trick by putting a suggestion in the minds of boxing fans. I’m afraid it doesn’t work that way. I don’t think that De La Hoya is seeing things in a realistic way right now. Canelo won’t be the No.1 fighter in boxing off of a victory over the aging 35-year-old Cotto because Mayweather still hasn’t retired yet. For Canelo to become No.1 in the sport, he’ll need to wait until Mayweather retires, and he’ll need to defeat IBO/WBA middleweight champion Gennady Golovkin. That’s a fight that Canelo will have to take because if De La Hoya has Canelo veer around Golovkin for two or three years in order to wait for him to age, it’s going to cause boxing fans to see Canelo as a ducker. If De La Hoya lets Canelo take the fight with Golovkin, which is open to question, Canelo has a high possibility of losing the fight and losing quite badly. The problem with Canelo losing to Golovkin is it will keep him from realizing De La Hoya’s dream of him becoming the No.1 fighter in boxing. You can’t become the No.1 fighter in the sport if you lose to Golovkin and Mayweather, and have questionable wins over Austin Trout and Erislandy Lara. A lot of people think Canelo lost to Lara and Trout. I don’t know how Canelo can carry the sport for the next 10 years as the No.1 fighter if he can’t get past Golovkin or if he’s ducking him for the next 2-3 years. If Canelo beats Cotto, he’ll just be another one of the many popular fighters in the sport, but nothing more than that. Caenelo won’t be the No.1 fighter in boxing until he beats Golovkin and Mayweather retires. If both of those things happen, then Canelo becomes No.1. 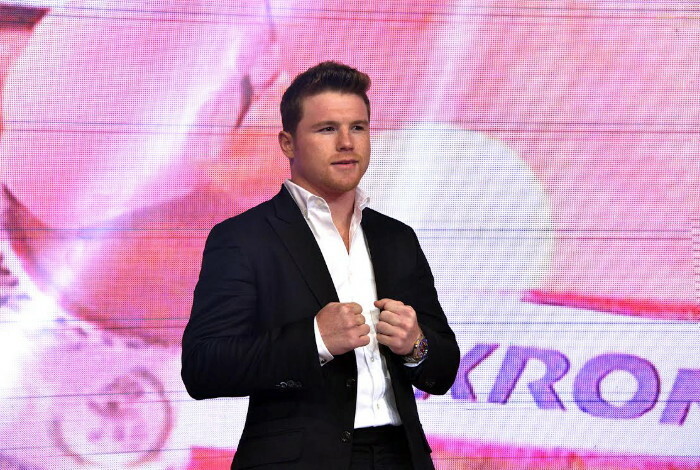 Mayweather will probably retire next year, but Canelo will still need to defeat Golokvin. Like I said before, I don’t think Canelo is capable of beating Golokvin. He’s too limited to beat Golovkin, and it doesn’t matter how much talking De La Hoya does, Canelo is always going to be a limited fighter. My guess is De La Hoya will have Canelo avoid the fight against Golovkin for as long as possible before he eventually makes that fight in 3 years when Golovkin is 36-years-old and possibly old enough for Canelo to finally beat him. Right now, I don’t see Canelo as having the talent to hang with Golovkin, and I think De La Hoya knows that. I think De La Hoya is trying to prop up his fighter Canelo to support him without having him fight Golovkin in order for him to properly earn the No.1 spot the traditional way.